Can A CPAP Machine Do It All? Sleep is a precious commodity that we all need in order to survive. During sleep is when our bodies grow, our brain cells replenish and our emotions reset. Regardless of age everyone needs to get a good night’s sleep. There is a reason that children need to sleep more when they’re very young: they’re growing and without sleep those little bodies can’t get much bigger. Even as adults if we neglect to get a proper sleep we can wake up feeling restless, irritated and just downright cranky. This will impact our daily lives in various ways. But what if you can’t get sleep? 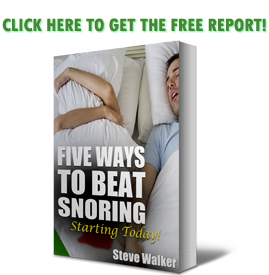 There are those who suffer from sleep disorders such as insomnia, sleep apnea and snoring. Suffering from a sleep disorder impacts your sleep. Either you can’t sleep or you can’t get quality sleep. Both are detrimental to your physical and emotional health. When you have sleep apnea you actually stop breathing several times a night. 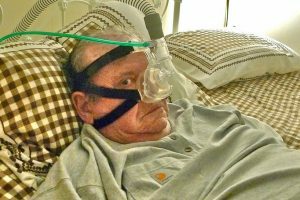 Certainly, this is obviously very concerning and the continuous positive airway pressure (CPAP) machine was designed to blow continuous bursts of oxygen into the sleepers airways in order to keep them breathing through the night. Complicated and expensive, yes, especially when compared with something as simple as the ZQuiet mouthpiece (https://snoringmouthpiecereview.org/zquiet). But can CPAP machines do more than help with sleep apnea? An international study led by Australian sleep specialists has shown machines designed to help people with sleep apnoea do not reduce the risk of heart attack or stroke, but significantly improve quality of life. The study of more than 2,700 sleep apnoea sufferers with cardiovascular disease estimated 25 per cent of middle-aged men and 10 per cent of middle-aged women suffer from sleep apnoea. The Sleep Apnoea Cardiovascular Endpoints (SAVE) study monitored sleep apnoea patients with a pre-existing vascular disease over four years in 89 hospitals in Australia, New Zealand, India, the US, Spain and Brazil. Researchers were looking at whether a continuous positive airway pressure (CPAP) machine would prevent major cardiovascular events including heart attack and stroke. Irishman David Cahoon emigrated to Australia more than a decade ago after undergoing heart bypass surgery in the UK in 1994. “I’ve always been a terrible snorer,” Mr Cahoon told the ABC. In England he had been prescribed a rubber mouthpiece designed to hold his jaw forward at night to reduce his snoring, but until he came to Australia he did not realise he had sleep apnoea. Early testing at the Flinders University Sleep Lab in Adelaide indicated Mr Cahoon’s breathing was being interrupted 53 times an hour while he slept. Most days Mr Cahoon found it difficult to stay awake. Now that researchers know what a CPAP machine can’t do, they can focus on addressing those concerns. There is no doubt that the CPAP improves quality of sleep which in turns leads to a better quality of life. A better quality of life leads to a better outlook for the future and allows us to be more positive and productive in our everyday lives. You never thought that sleep could be so important, did you? While it may be disappointing to learn about the shortcomings of the CPAP machine, it just gives researchers more drive to find a better solution to such an important problem. Perhaps an addition to the CPAP machine will address the issues with heart disease or maybe a new medication will do the trick. When it comes to research the disappointments are just as important as the discoveries: they can all lead to a solution. You can rest easy knowing that there are people hard at work trying to find out how to keep you healthy and hale, during your states of consciousness and unconsciousness.